Please tell us about One3IP. One3 IP Management is an intellectual property management company that provides for all of its client’s intellectual property, licensing, and general legal needs. One3 IP views our relationship with clients as being members of the same team, with the primary goal being the creation and maintenance of a successful business. One3 IP represents clients in many different industries around the world, including in biotechnology, pharmaceuticals, medical information, medical device, hardware and software, personal products, sportswear and other technology fields. Proactively Executed Prosecution (PEP) is a method of patent prosecution that simplifies the patenting process, making it better, quicker and cheaper, while obtaining broad protection worldwide in less time for less money than the patent regimen followed by the majority of patent firms world-wide. The first step is to file a patent application that provides support, both with data if available and with prophetic language where it is not, for broad claims that cover our client’s invention and more. By following PEP we take advantage of the rules in the United States that allow for in-person, telephonic, and soon video conferences where it is possible to discuss issues related to an outstanding patent application and come to agreement on allowable claims. Through this interview process, we are able to obtain quality broad claims in less time for less cost than the standard practice of filing written responses. The next step of PEP is to take the issued U.S. patent and enter the issued claims in other countries through the Patent Prosecution Highway (“PPH”). The PPH constitutes a set of bi-lateral agreements where a granted patent from one country (e.g. the U.S.) can be used as the basis for obtaining a patent in the other country. PEP take advantage of these agreements to obtain patent more quickly, which reduces the cost and time associated with this process. What are the 3 most important steps business must take when obtaining worldwide patents? 1. Draft the most comprehensive application you can. Protect not only what you have developed, but what you anticipate might be developed over the next 20 years (the life-span of a patent). 2. Draft the application from an international perspective that takes into account the nuances of the laws not only in the US, but also in the foreign jurisdictions you are planning to file. Certain countries require certain types of disclosure that if not present makes getting a patent in that country very difficult. 3. Never stop conducting experiments and collecting data. Many jurisdictions allow for the submission of evidence after the filing date of the patent application. This after-filing evidence can be invaluable in terms of obtaining the broadest possible patent protection coverage. In addition, as discussed PEP above, there are ways of getting broader patent protection using this evidence even in countries that generally will not allow the use of such data. Not only are these three steps important in terms of obtaining a patent with broad protection, but also in making the company more attractive to potential investors as well as other companies looking to license the technology, partner with you, or outright acquire your company. What do you see as the biggest challenge businesses currently face during the patenting process? Expense. Obtaining a patent can be very expensive, especially if protection in foreign jurisdictions is desired. For example, figure at least $15,000-$20,000 per patent per country just to obtain a patent (and that is not taking into account maintenance/renewal fees levied after a patent is granted). Although this cost can be stretched out over the course of 3-8 years, it is still a hardship for most companies. How do you envision the patenting process changing over the next 5 years? 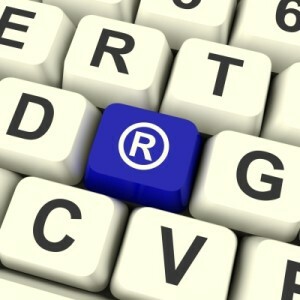 The general trend of harmonizing the patent laws around the world will continue. Although there will always be country specific rules and regulations in patent law, there is a great desire to harmonize the patent process as best as possible. One example of this is Europe where the trend is moving towards a unitary patent for all the members of the European Patent Office along with a unitary patent litigation system. What is one piece of advice you would provide a company who is looking to secure a worldwide patent? Know your market not only in terms of where you want to sell your product, but also in terms of where you want to block your competitor. Many times blocking market entry of a competitor in certain key countries will preclude that competitor from developing a product altogether because there is not enough profit to be made. By focusing on where you want to sell and block, a company can reduce its intellectual property expenses.